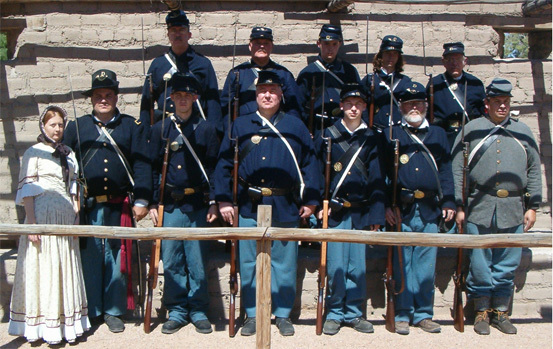 While down at the Old Mormon Fort State Park, we represent the United States Army after the American Civil War. Our program is called "Soldiers of the Old Fort", and we portray the "post-war" 9th US Infantry, Company D which provided a small garrison there from 1867-1869. It was only the size of a modern Infantry Squad, so usually there is only a Sergeant in charge, except once a month when an Officer rides in from the Regimental Headquarters in Arizona to check up on the men. 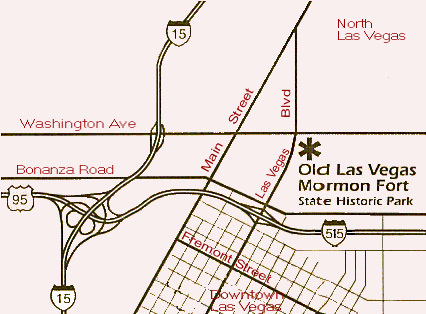 Or in the information provided about the "Old Mormon Fort State Park" at the bottom of this page. Hours: 8:00 a.m. to 4:30 p.m. Open 5 days a week. Closed Sundays and Mondays. Entry Fees: Adults $1.00, Children 6- 12 $1.00, children under 6 are free.